Heya folks! 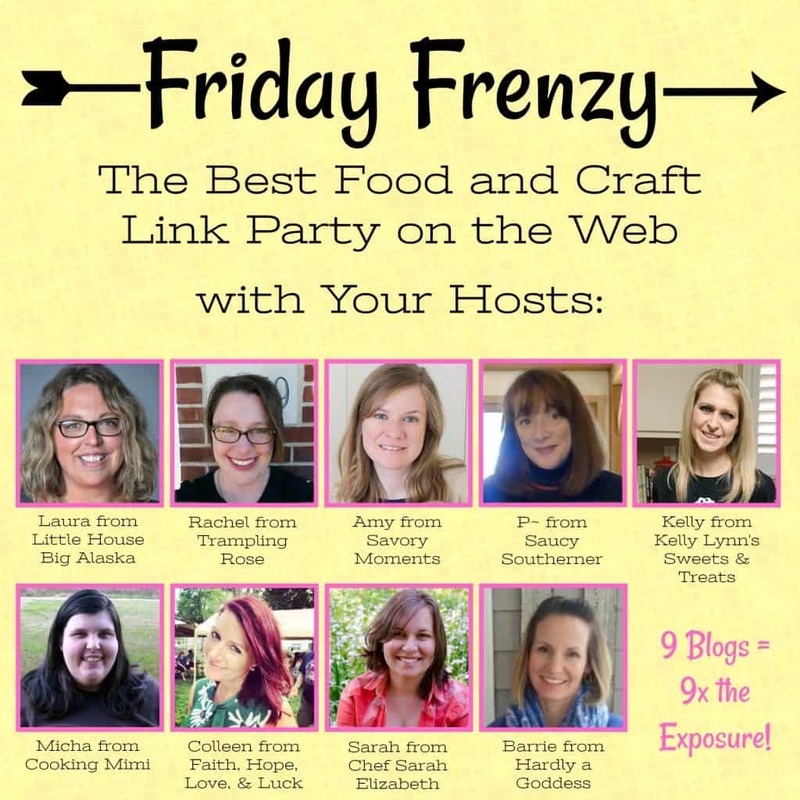 It’s Rachel here, from Trampling Rose: Recipes & Writings from Small-Town South Dakota, and I’ve got this week’s picks for the Friday Frenzy. We’ll start with these delicious-looking Crepes with Strawberry Red Wine Jam and Yogurt from Looney for Food. These would make such a tasty breakfast (and if you spend any time on here, you know I’m nuts about breakfast foods!). Next up are these amazing-looking Baked Stuffed Pork Chops from Palatable Pastime. My mom made baked pork chops often when I was a kid, and that is my preferred method of making them (bonus: it’s hands-off work). To go along with those baked and stuffed chops, how about Cooking with Carlee’s Quick and Easy Duchess Sweet Potatoes? I admit, I’m not normally a fan of sweet potatoes, but I’m slowly coming around. And you can’t go wrong with the crispy outsides you get with Duchess Potatoes! And lastly, we have an easy but perfectly-fall-like dessert from Tracey at The Kitchen is My Playground. How perfect is this Easy No-Bake Chocolate-Pumpkin Icebox Cake? Pumpkin and chocolate pair well together, and icebox cakes are worth the wait. Well, there’s this week’s collection for you. We can’t wait to see what you share with us – Drop your link below! This entry was posted in Friday Frenzy and tagged Fiday Frenzy, foodandcrafts, link-up party by Rachel. Bookmark the permalink. Next → Next post: #Choctoberfest is here!